Spring is finally here and at Bob Oates Plumbing, Sewer, and Rooter we couldn’t be happier! This last winter brought record-breaking rainfall to the Seattle area, and we mean record breaking! In fact, this year has seen the wettest February-to-March period on record. It’s been so rainy, that it already makes February to April the fourth wettest on record! All that precipitation can put a strain on more than your picnicking plans; it can also take a serious toll on your sewer and plumbing systems. All that moisture will soften up the ground your pipes are laying in, giving them room to shift around. There’s also the added pressure from all the rain water flowing through them, not to mention the fact that the increased rain may mean roots are growing in and around your pipes more quickly. 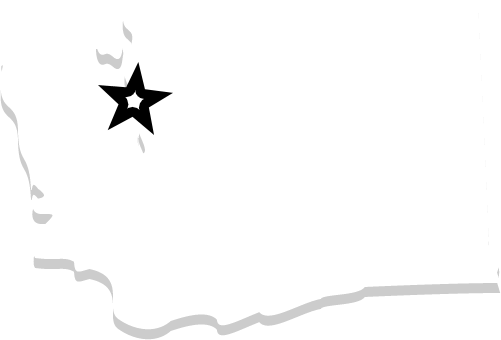 As the rain keeps coming, you might find yourself in need of a professional rooter service in Seattle. Before we get to our rooter services, the best way for a Seattle plumbing company like Bob Oates Plumbing, Sewer, and Rooter to determine the cause of your specific plumbing problem is to send a camera into the sewer lines to do a little recon. Using information from images taken by the camera, we can determine the best next steps to take. If a pipe is clogged by a foreign object or by roots that have grown into it, rooter service is likely the most effective way to remove the clog and get things flowing smoothly again. 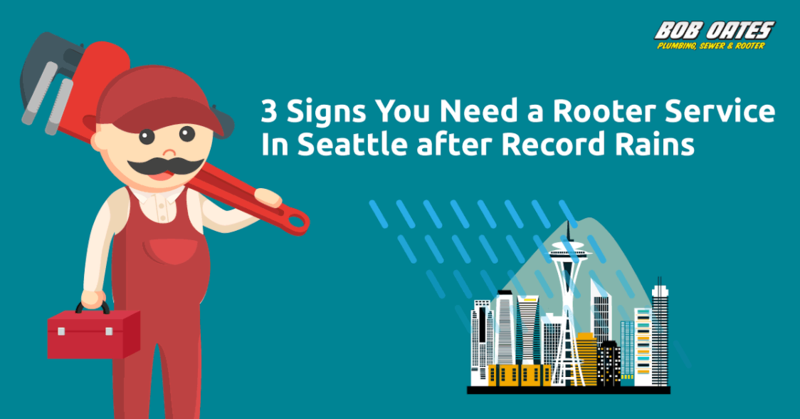 Here are three ways to tell if you might need rooter service in seattle this rainy season. Do you have a clog that’s causing poor drainage, but you just can’t beat it using the normal battery of DIY solutions like your trusty plunger or the right enzyme-based drain cleaners? It could well be the case that the issue is something farther down the line such as a root from a tree or shrub that’s grown through the joints in your home’s pipes. If that’s the case a professional rooter service is your best and only recourse. The most troubling sign you need a rooter service after Seattle’s winter of record-breaking rains is wastewater backup. Wastewater backups aren’t just a messy headache to clean up; serious ones can pose a serious health risk. Plus, if it goes untreated wastewater backup can cause some pretty serious damage to your home. If what you’ve flushed or washed down the drain is coming back up without an invitation, that is a sure sign you need the help of a rooter service professional like Bob Oates Plumbing Sewer and Rooter. Maybe the drainage issues you’re experiencing are broader than just one slow, clogged up drain. If you’ve noticed that your entire home is suffering from slow drainage, or a lack of water pressure, strange odors, or wastewater pipes leaking as water backs up, it’s probably time to consider contacting a rooter service in Seattle. You can never be too sure about the wellbeing of your home’s plumbing, especially after the record rains these last few months in Seattle. One thing’s for sure: 2017 is off to a soggy start and forecasts predict that won’t be changing anytime soon. All that rainfall can have a big impact on your plumbing and sewage systems. If you’re worried about a clog, root, drainage issue, or wastewater backup, don’t hesitate to call on the experts at Bob Oates Plumbing, Sewer and Rooter to schedule an inspection and rooter service today.